PA TECHS report that nine out of ten car seats are improperly installed. 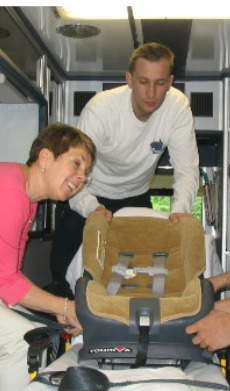 Our mission is to teach parents and caregivers about the safest ways to transport children. We advocate the proper use of child seats according to the manufacturer's instructions. Every situation is different and not every seat fits every vehicle. We will make the best recommendation to you and work with you for a proper installation. We ask you to help so that you can confidently secure your child in your vehicle, so that every ride is a safe ride. To schedule a car seat appointment click here.